DGP:50 NY LTD has announced the introduction of its Model 136/236/336 Series, a family of compact, high-accuracy differential pressure transducers. The digitally compensated Model 136/236/336 Series can measure differential pressures as low as 20in WCD and line pressures up to 1000 PSID (69 BAR), with accuracies of up to ±0.05% FSO. They also feature high frequency response, as well as high shock and vibration resistance. Their compact design incorporates all-welded stainless steel parts and housings. Available digital outputs include CANbus, USB, RS-485 and RS-232. Customers may also choose from various optional accuracy, process and electrical connections. 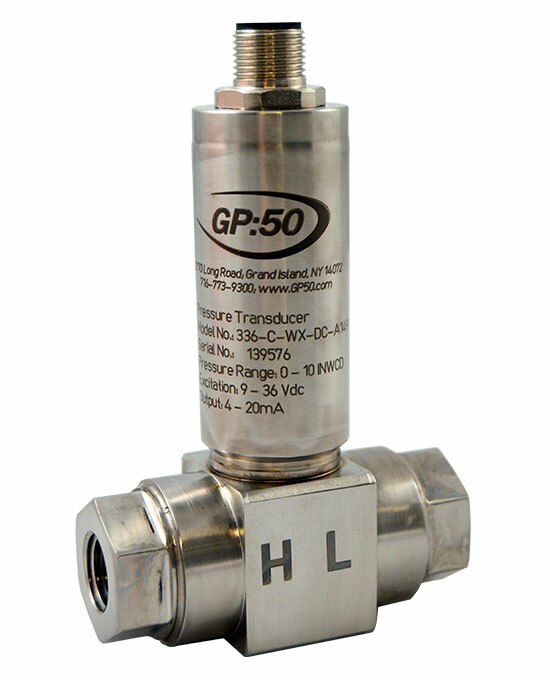 With its compact, corrosion-resistant design and exceptional accuracy specifications, the GP:50 Model 136/236/336 Series is suitable for a variety of testing requirements, including automotive and aircraft engine test stands; leak decay; liquefied natural gas (LNG) transport and storage; filtration; and flow and tank level measurements.